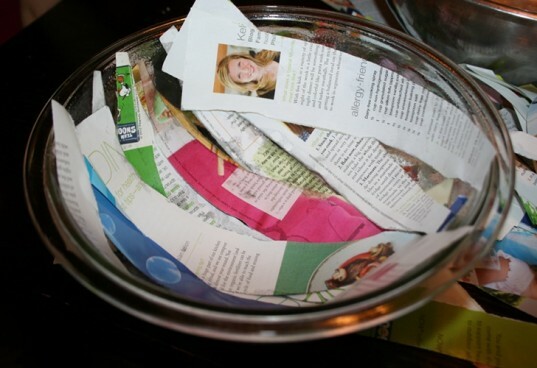 Have a stack of old magazines or newspapers and want something to do with them? 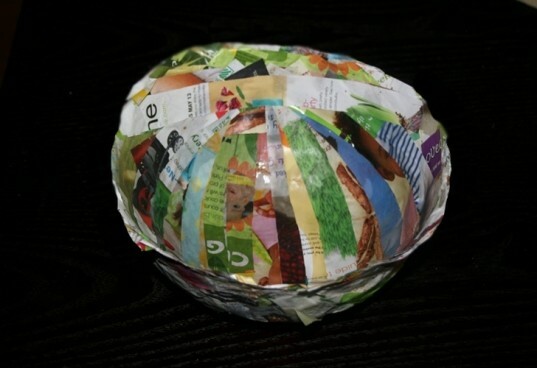 Try this fun recycled paper bowl craft! Your kiddo will have a blast ripping or cutting the paper and getting sticky in the homemade paste. 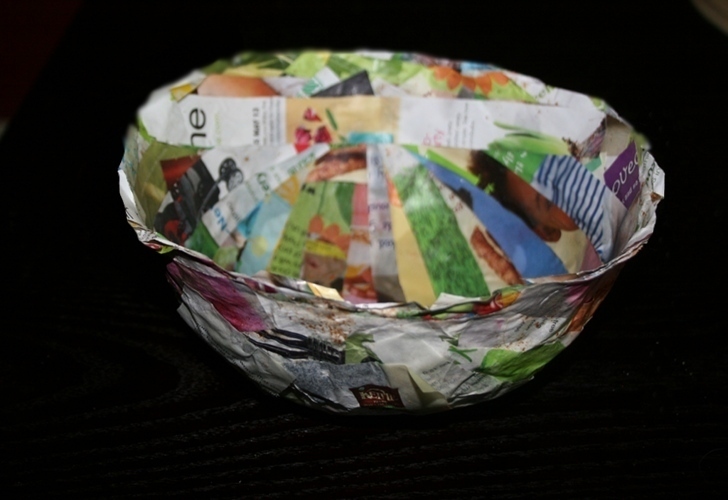 The recycled paper bowl is sturdy and can hold knick knacks, fruits, or whatever homemade goodie your child desires. This step is for an adult. In a sauce pan add 1 cup water and the 1 cup of flour. Stir until smooth and then add the other 2 cups of water. Bring to a boil, stirring continuously. 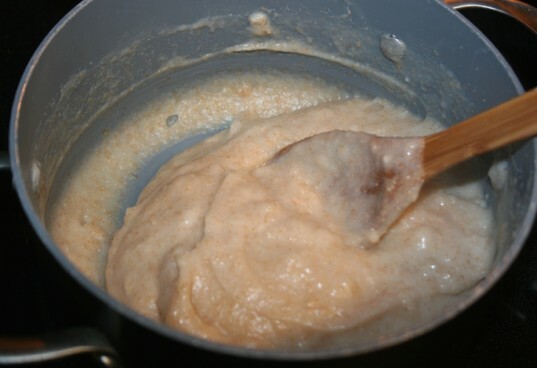 When mixture forms the paste, take off the heat and pour into a bowl. Let cool. 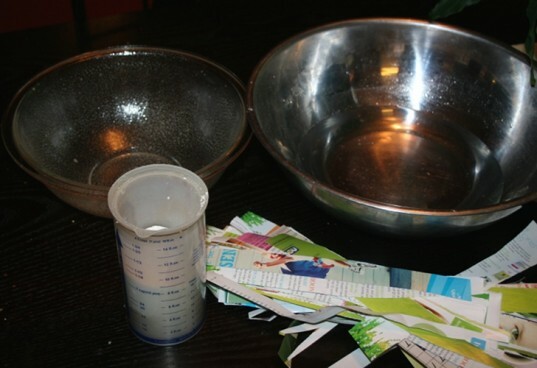 Place 1 layer of paper strips around your greased glass or stainless steel bowl. Add glue to the first layer of paper. We used our fingers instead of a paint brush. Then add another layer of paper. Keep adding paste and paper layers until you have at least 6 layers of paper. Leave your paper bowl inside the glass bowl to dry over night. Then take the paper bowl out and flip the glass bowl over. Put the paper bowl on top to let finish drying. Once dry, flip the glass bowl back over and lay the paper bowl inside to trim the edges. 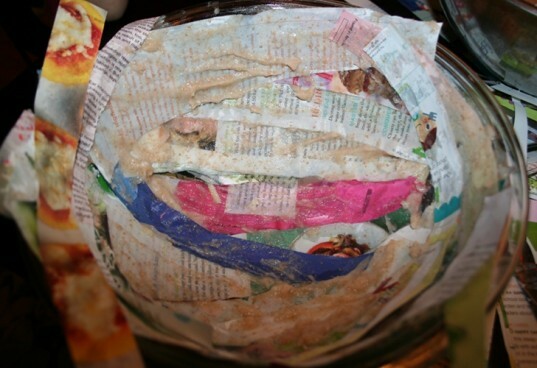 After your bowl has dried your child can paint, cut scrap paper and glue on to decorate, or leave the bowl like it is! Your child’s bowl can make the perfect gift basket for Mother’s Day filled with homemade goodies, fruits, treasures, and more. 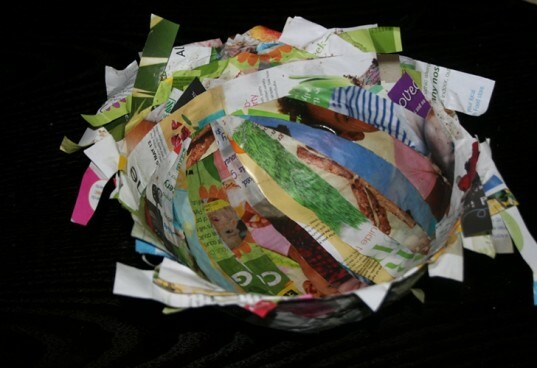 After your bowl has dried your child can paint, cut scrap paper and glue on to decorate, or leave the bowl like it is! Your child's bowl can make the perfect gift basket for Mother's Day filled with homemade goodies, fruits, treasures, and more.